Please join COMMA for the final meeting in our 2015-16 series, “In The Desert of the Real” with a screening of the second film in George Miller’s Mad Max series. Set in a post-apocalyptic desert landscape, the film interweaves themes of war, energy, resource scarcity, and environmental justice. The screening will be followed by discussion, and pizza will be provided. Please join COMMA as we continue our 2015-16 series, “In The Desert of the Real” with a screening of the first film in Nacer Khemir’s “Desert Trilogy.” Set in a small town on the edge of an immense desert, Wanderers of the Desert (1984) interweaves myth and dream in order to explore tensions between modern and traditional values. The screening will be held on Friday, Feb. 12th at 1:00 in SH 2635 and, as always, the will be followed by discussion, and pizza will be provided. Please join us on Friday, Feb. 26th at 1:00 in SH 2635 as COMMA continues the 2015-16 series, “In the Desert of the Real” with a screening of Abderrahmane Sissako’s award winning film, Timbuktu (2014). Inspired by a public execution, Sissako’s film offers a gritty exploration of cultural conflict resulting from the occupation of Timbuktu by a jihadist faction. As always, we will reserve time after the film for discussion and pizza will be provided. Please join us for the first event in COMMA‘s winter schedule on Friday, Jan. 15th at 1:00 in South Hall 2635. 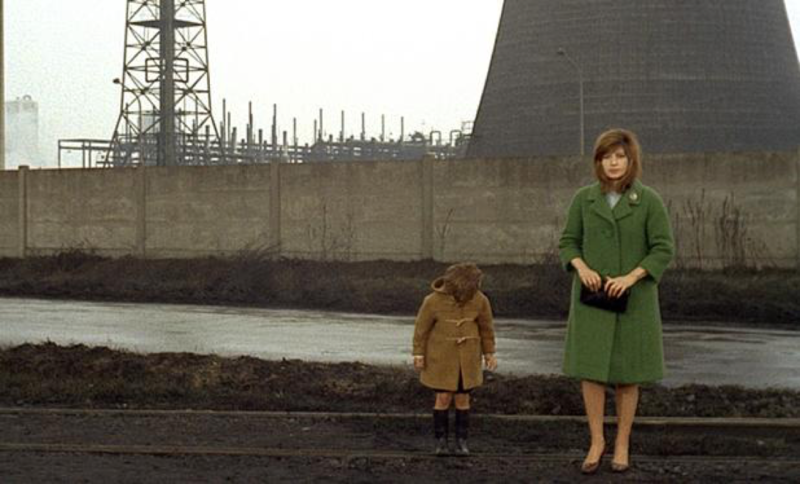 We will be screening Michelangelo Antonioni’s Red Desert (1964). Following the screening, Eileen Joy (UCSB) will join us to discuss the film and her article “Blue” from the important collection, Prismatic Ecologies (2013). Copies of “Blue” are available in the CRC. As always, refreshments will be provided. Friday, Oct. 16th at 1:00 in SH 2635 Please join us as we open our 2015-16 series, “In The Desert of the Real” with a screening Werner Herzog’s first film in English. The screening and discussion will be held onFriday, Oct. 16th at 1:00 in SH 2635. 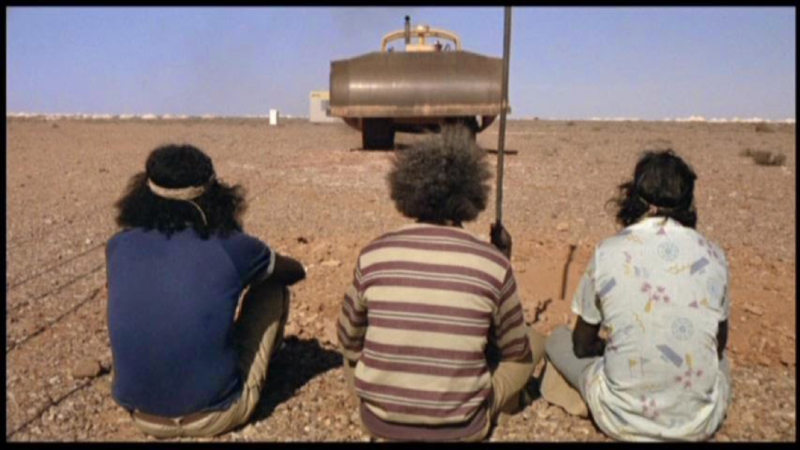 Set in the Australian desert, Where the Green Ants Dream (1984) stages a confrontation between environmental activism and modernization as local Aborigines fight a mining company searching for uranium mining sites. Blending documentary and feature film, Herzog explores the legal and philosophical issues behind neocolonialism and the extraction of local resources. The screening will be followed by discussion, and food will be provided.